Celery is one of many salad crops that is available throughout the year, but as ubiquitous as it may be it is a genuinely underrated as an salad crop and often considered boring. Of course this may be just because eating shop-bought celery is about as satisfying as drinking warm beer, but that is only because modern production techniques concentrate on size, colour and shape and nothing at all about the flavour. 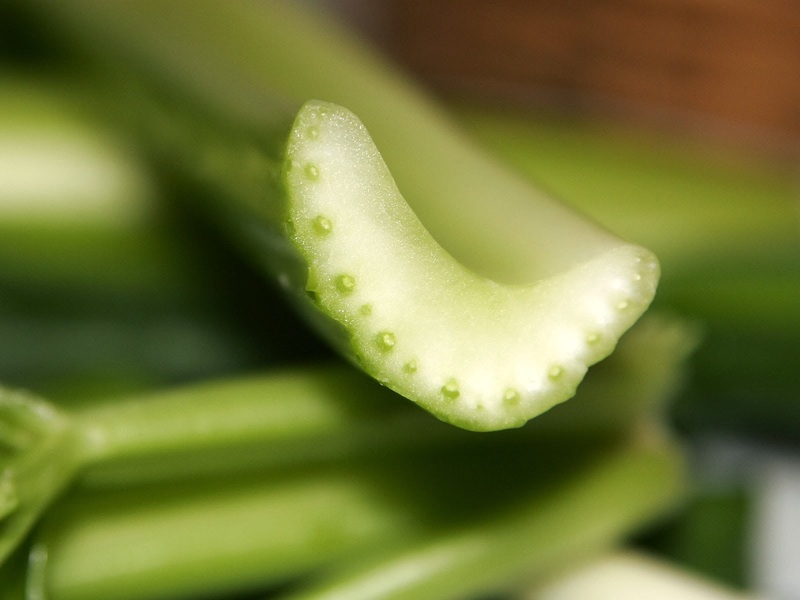 This is why celery has the taste sensation of a stick of water. Now many centuries ago (when I was a young lad) celery had a gorgeous peppery flavour, and it's not because time has dulled my taste buds. It turns out that it is all the fault of our commercial growers because producing my own celery has proven beyond doubt that it still tastes exactly the same as when my granddad grew it in his garden. The trouble with growing celery is that is come with a lot of cultural baggage and this is because traditional varieties needed a lot of work and attention. They had to be planted in deep trenches, and required layers of soil added regularly to blanch the green stems. Fortunately those clever plant breeding fellows have manage to develop a number of self-blanching cultivars that no longer need earthing up to produce those succulent, crisp white stems. 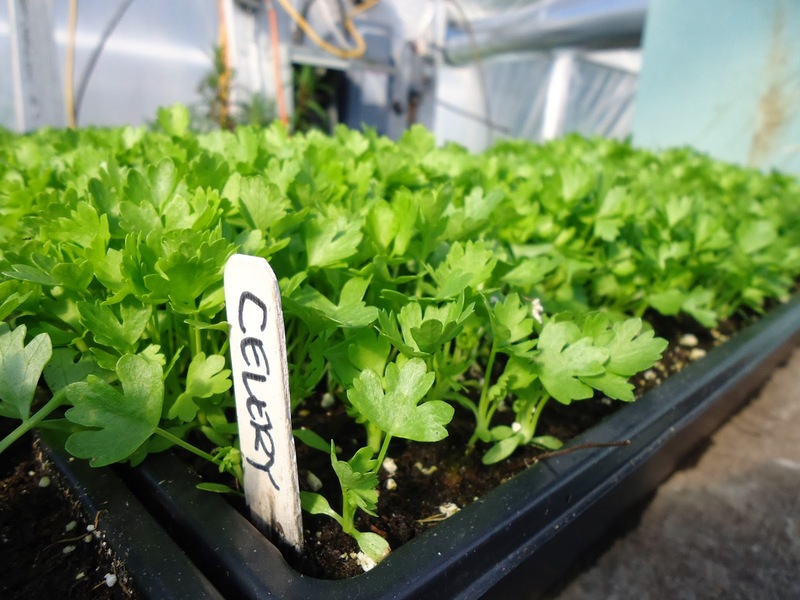 Celery prefers moisture-retentive, well-drained soil in a sunny spot, but before you start sowing celery seed willy-nilly you will first need to prepare a seedbed. To begin with, dig the soil in the spring before planting, removing big stones, weeds and incorporating plenty of garden compost or well-rotted manure. A week or so before planting, rake in a general purpose granular fertiliser such as growmore into the surface layer of the bed. Just make sure you abide by the application rates to prevent root damage later on. 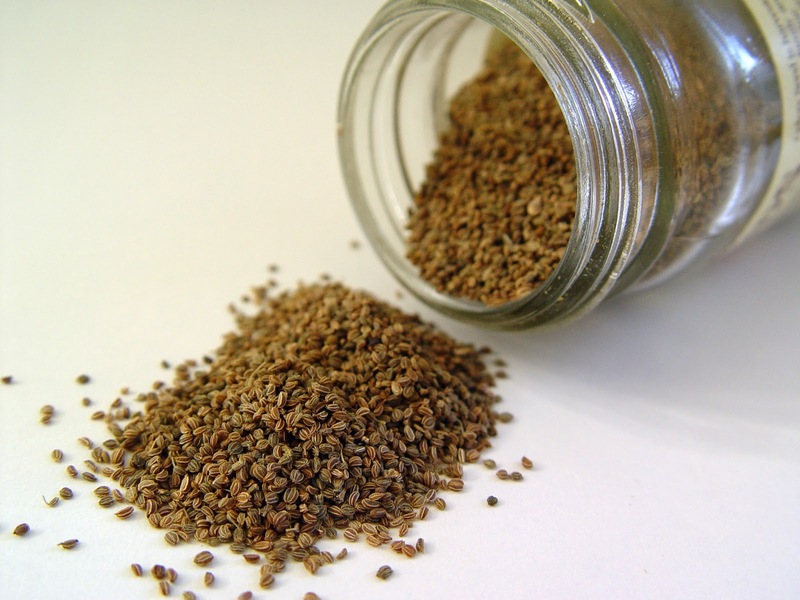 Celery seed is notoriously tiny, so take a pinch and lightly sow across the surface of the soil. Do not cover with compost as celery seed require light for germination. The seed will need to be watered in but do not be tempted to go over them with a watering can - even if it has a fine rose attached as it will still wash all the seeds to the sides of the tray. Instead fill a bowl with water and lower the tray into it until the water as darkens the surface of the compost and no more. At this point remove the tray from the bowl and allow it to drain. Covering the surface of the compost with a thin layer of vermiculite and place the whole tray into a heated propagator or seal inside a clear polythene bag and place on a warm windowsill. Water daily to ensure the compost doesn't dry out. Once the seedlings have germinated the tray can be taken out of the propagator or sealed bag, but can remain on the bright windowsill. 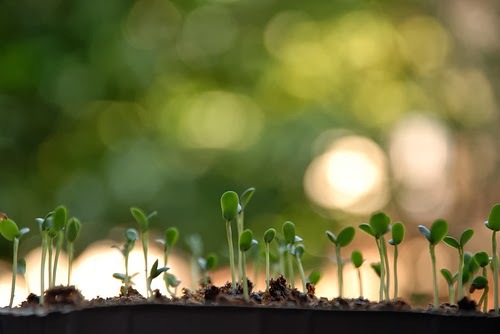 As soon as the first set of proper leaves have formed they can be carefully pricked out of the seed tray and potted on individually into 3 inch pots filled with a good quality multi-purpose compost. Try and keep damage to the roots to an absolute minimum. Again, keep the young plants well-watered but not waterlogged, and fingers-crossed, your young celery plants will be ready to go outside about five weeks later once they have been hardened off. Plant celery seedlings about 1 ft apart making sure that the crown of the plant is at ground level. 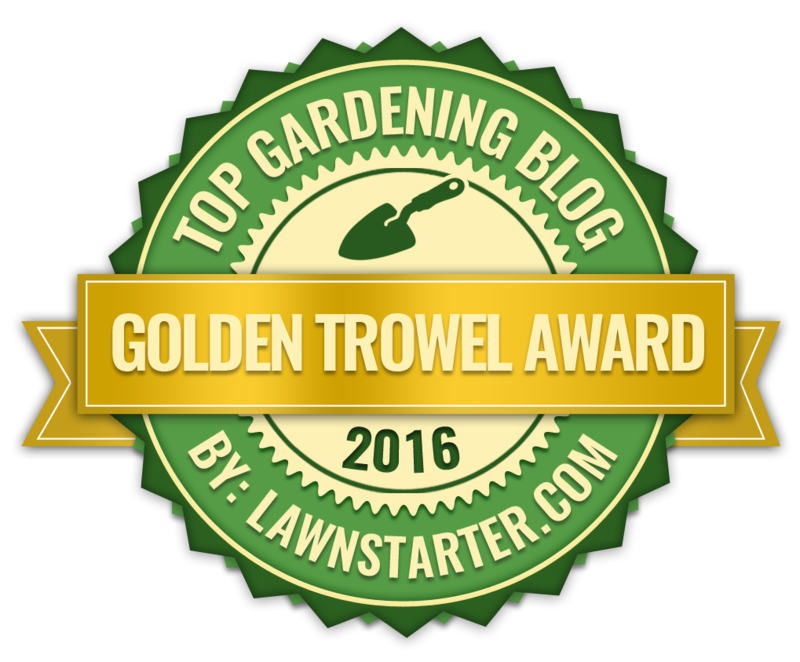 To make the most of the space available consider planting them in a grid pattern, rather than planted in long rows. Keep them well-watered, especially over the summer, and make sure that the area around them is free from weeds to prevent poor growth from competition. Apply a water soluble fertiliser four weeks after sowing and then keep it to once a month until harvesting in August. You can carry on picking celery until the first frosts. Simply lift the plants as required using a hand fork. Just make sure not to damage any of the neighbouring celery plants as you do so. 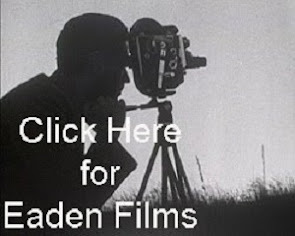 Haocheng file is licensed under the Creative Commons Attribution-Share Alike 3.0 Unported license.